In the world of photography there are people I refer to as “gear heads”–individuals who lust after every new piece of equipment (cameras, lenses, accessories, software, etc.) that comes down the pike. Some, usually mistakenly, believe that some new piece of gear is going to improve their photography. Others just have an insatiable desire to own the latest and greatest. Photography equipment is omnipresent. Check out any issue of Outdoor Photographer, for instance. Each month, dozens of items, all pitched toward the photographer (even when the item is only tangentially applicable) are previewed by the editors. Dozens more are represented in commercial ads. And this is just the tip of the proverbial iceberg. Over the course of a full year thousands of new photographic and photography-related items are released. The quantity is dizzying. And the pricing is, on balance, not to be believed. Photographers live in a world of $30 bubble levels and $15 lens caps (nothing like a 50-fold mark up over the costs of production and distribution!). Photographic gear is, by definition, expensive. I’m not a gear head, given the commonplace definition of the term. I really try to keep my equipment purchases to a minimum. I haven’t purchased any cameras, lenses or filters in about two years (and have no plans to do so any time in the foreseeable future). In the past two years my direct photographic purchases have been limited to replacing a lost lens cap and upgrading Photoshop. But by far the single most important “gear” purchase made over that time–maybe in the past five years–cost less than $2o. It wasn’t a camera or a lens or a filter or any other type of accessory. It wasn’t computer software or hardware. It was a pair of knee-high rubber boots. Recommended to me by my friend Tom Robbins prior to a planned outing at the always wet Illinois Canyon, Starved Rock State Park, this simple purchase has completely changed the way I photograph around water by allowing me to both more easily traverse wet (and muddy) areas and stake out shooting positions that I otherwise wouldn’t even consider. I tramped all over the Pacific Northwest using these boots last summer and have used them liberally over the past couple of years throughout Illinois and Indiana. All of the images accompanying this entry are examples of shots I would not have obtained had I not possessed this seemingly innocuous footwear. Oftentimes around water, the most dynamic, the most evocative, the most engaging images can only be obtained by standing in water. Even when that’s not necessary, the best positions frequently can only be obtained by wading through water to get there. 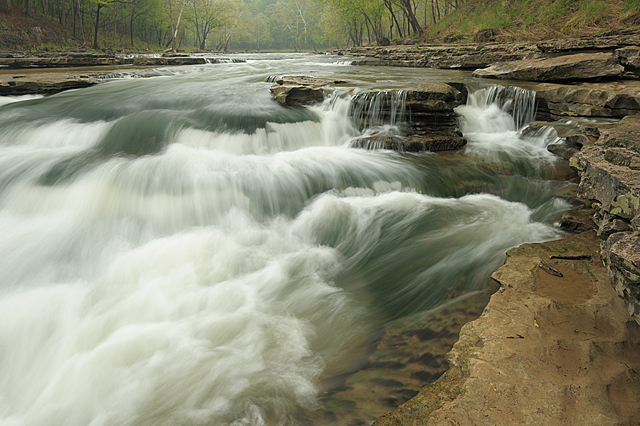 I re-learned this lesson on a recent trip to Fall Creek Gorge, a Nature Conservancy property in west-central Indiana. In making the trip the previous week from Chicago to Indianapolis I had inadvertently left the boots in my closet back in Illinois so I didn’t have access to them when I made the journey to the gorge. 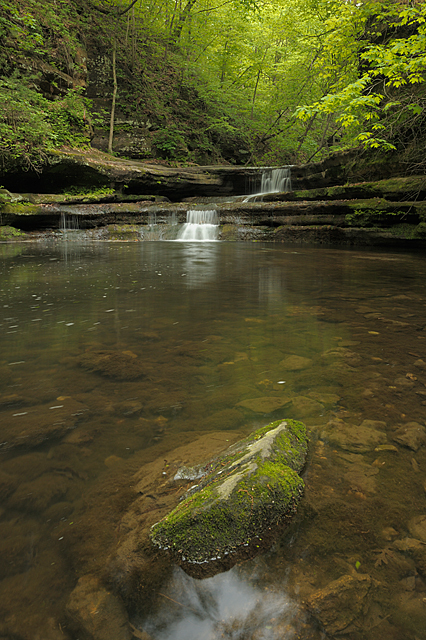 All of the gorge photography was water-based, and I felt distinctly inhibited, being unable to access shooting points with the freedom I’ve become used to in such settings. When I return to this location–and I will–I’ll definitely have the appropriate footwear and I’m certain it will result in a completely different photographic experience. On the Fall Creek Gorge shoot I would rather have had the boots and the photo equipment I was using ten years ago than the best gear available today without the boots. In fact, it’s no contest. That is the kind of gear purchase that’s worth its weight in gold. Great reminder, Kerry – I’ve been meaning to get some boots for a couple of years, but always forget when I return from the trip where they would have really helped… Looking at REI’s website right now! Thanks for posting, Jack. FWIW, I found that I could go with something as basic as a pair available at a farm supply store (hence the $20 price tag). But the main point, of course, is that we need not succumb to the whims and temptations of the photography (and accessories) industry to find something that can make a TRUE difference in our photography. Kerry: I have those boots!. I keep them in my car trunk. They are cheap and the are a lifesaver. My problem is they are just bulky enough that they seldom get put in the bag for airline travel. I remember the farm vet used to have these Tingley, over the shoe style that were really compact. I may try to find some of those before my trip next weekend to MN. FWIW, I am a “gearhead” of sorts. I am not sure what “the” definition of gear head is. I am not one who has to have the latest and greatest, and in the last 5 years, I have definitely taken a “less is more” view toward my in the field photography. OTOH, I roll my eyes when the “purists” start talking about pinhole cameras and how Steiglitz and Adams could make their images with a throwaway P&S. Gear = “tools” (I am pretty sure from past exchanges you would agree) and some of it is a necessary evil. OTOOH (that the other “other hand” 🙂 ), when something works for me, I keep it until I am persuaded there is something out there that is justifiably better. Good post and as always, magnificent images. On the more general subject of gear, I suppose I should clarify my remarks somewhat by adding that I am *not* saying that gear is irrelevant to the art and craft of photography; it decidedly isn’t. What I am saying, I suppose, is that it’s frequently overrated, sometimes wildly so. 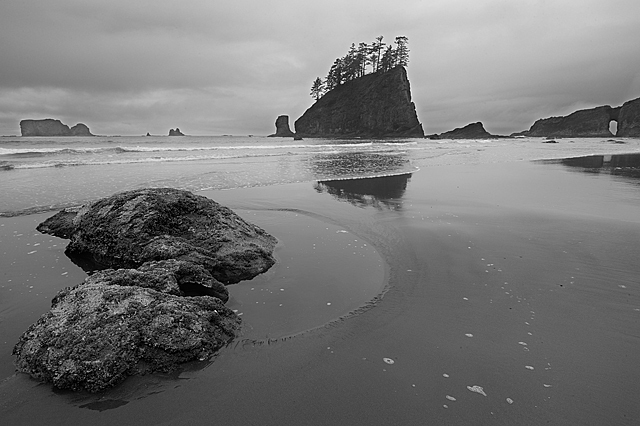 Properly vetted, new gear can make the practice of landscape photography in the field easier. In some cases, it can produce better, more actionable, versions of images than what is obtainable by less robust gear. On rare occasions, new gear can even help produce a better photographer going forward. (I do feel, for instance, that the switch from film to digital capture ultimately had that kind of an impact on me, for a variety of reasons.) A new lens genre (say someone obtaining an ultra-wide angle for the first time) can certainly open up new artistic horizons, but once your equipment options are “mature,” we’re really talking about quality improvements in obtaining new gear, not any real transcendent changes. Dramatic artistic transformations as a direct function of new gear, on the rare occasions they occur, are aberrant, and that’s really the point that I was trying to make in this entry: rarely does new photographic equipment produce an aesthetic improvement in the work of a landscape photographer and when it does (as in my case, as mentioned above), it’s almost always indirect.